Still got your Xbox hooked up to a big ol' CRT? 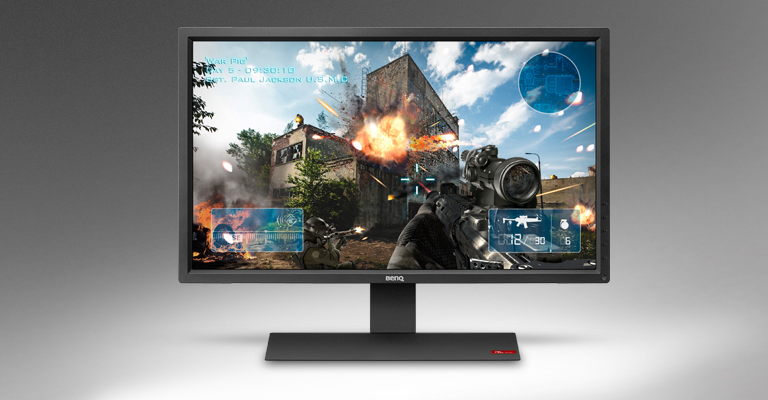 Then listen up: HEXUS, in partnership with BenQ, is giving you the chance to win a 27in, 1080p gaming monitor designed specifically to give you a fluid console gaming experience. It's the BenQ RL2755HM and it touts no latency, low input lag, and a ranger of gamer-specific enhancements including 20 levels of Colour Vibrance, Black eQualizer, Flicker-free and dual HDMI inputs for added flexibility. Heck, there's even a rubber grip on the stand to stow your joypad, as well as a hook around back to hang your headset! Just what you need to up your game? Then what are you waiting for? All you need to do to enter our free competition is answer the following simple question. And don't forget, you can also claim a second entry via Facebook to increase your chances! The competition winner will be picked at random from all eligible entries that arrive by midnight of the closing date, March 30, 2016. The winners will be notified via email by April 7, 2016. The winner must claim their prize within 7 days of the promoter sending notification. If the prize is unclaimed after this time, HEXUS reserves the right to offer the unclaimed prize to a substitute winner selected in accordance with these rules. The prize is a BenQ RL2755HM 27in monitor. AOC Agon 35-Inch Curved HDR 200Hz gaming monitor revealed Panasonic showcases transparent OLED TV concept Benq EX3203R 144Hz QHD gaming monitor launched QOTW: How do you like your PC monitor: flat or curved? QOTW: PC monitors - high resolution or high refresh? Please I wan't this one because my MAG Inovison 24inch is dead and I go to my old old Samsung SyncMaster 957MB from 2003 year made, please HEXUS give me a chance for this one pleaaaassssssseeeeeeee.